Powder Coating is the preferred finishing method by top manufacturers of metal products. The process is to apply the powder coat electrostatically and then it is cured under heat to allow it to flow until it forms a skin-like coating over an object. The results provide a finish that is much tougher than a conventional paint coating. Customers are not limited with the colors of the finish. Bright colors, deep neutral colors and various color combinations can be used to create fading and blending to achieve the color you want to replicate your brand or create new styles. Powder coating is ideal for finishing multiple objects because you can get a uniform finish. Unlike paint, powder coating is preferred because there are no solvents used, and this means you will not have any color running or any streaks on your product. S&B Finishing technicians are experts in how to powder coat metal parts so that they have the characteristics your product needs. S&B Finishing offers expert powder coating service to corporate clients in the Chicago area and nationally. We have worked with these leading corporations because we meet their specific requirements and characteristics and then deliver quality results consistently. 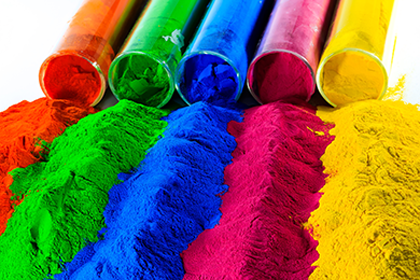 Contact Us to learn how we can provide expert Powder Coating Services.